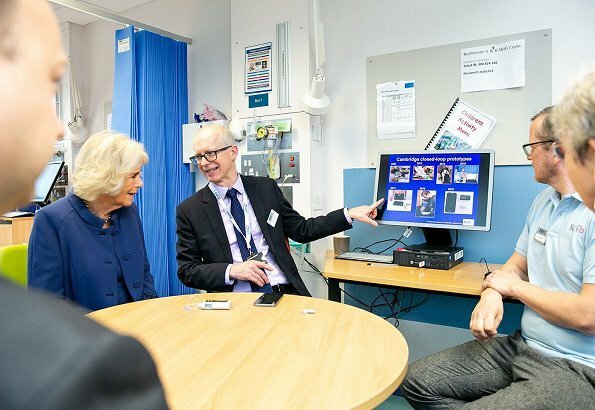 On November 27, 2018, The Duchess of Cornwall visited Addenbrooke’s Hospital to see the world-leading type 1 diabetes technology being developed there by Professor Roman Hovorka. 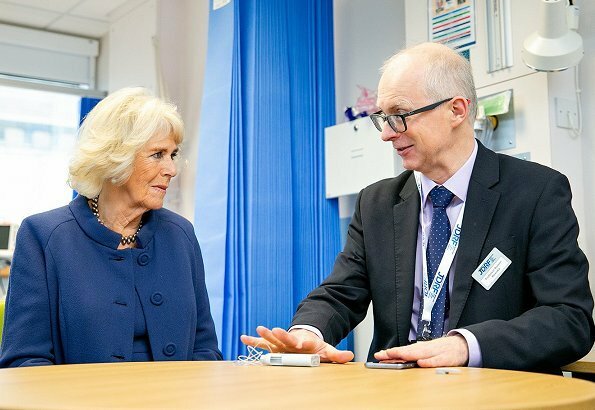 The Duchess has been President of JDRF (Juvenile Diabetes Research Foundation) in the UK for over five years and during this time has met many individuals and families affected by type 1 diabetes, as well as the scientists and researchers working to cure, treat and prevent the condition, supported by JDRF. 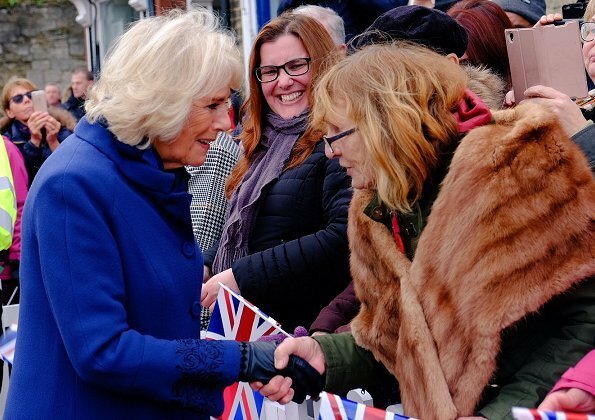 On November 27, 2018, Prince Charles and Duchess of Cornwall visited Ely Market in Ely, England. 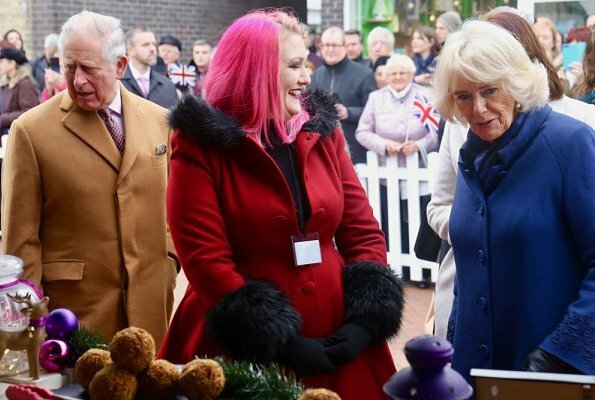 The Prince of Wales and the Duchess of Cornwall met with local residents and stallholders including GeorgesBakery and FoodbyLizzi. 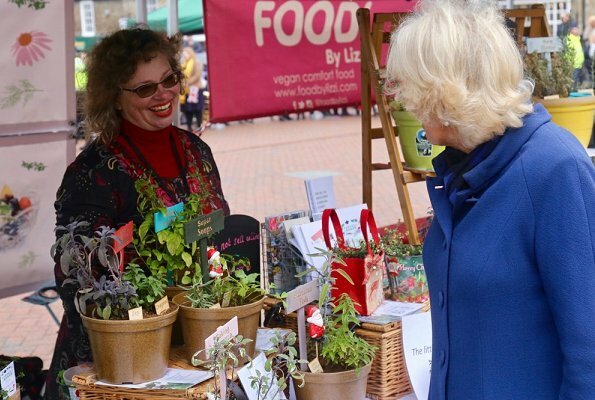 Lizzi started her vegan food business in 2013 with support from the PrincesTrust Enterprise programme. Very flattering coat and dress combo. Camilla looks great so is the necklace.Also lovely smile with the children. She looks very good and happy. Her dress and coat are lovely. What a wonderful photo with the children. Yay! 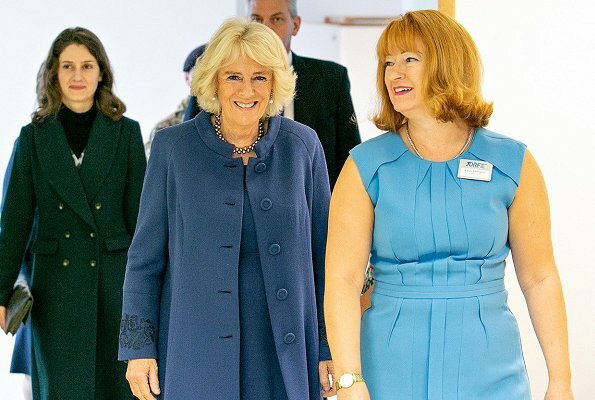 I'm not always a fan of Camilla's fashion, but she looks very nice here! The coat and dress have a good cut and this shade of blue is beautiful on her. I also love the decorated sleeves of the coat. I feel the same way. I don't think her clothes flatter her as much as they could, but this coat and dress is lovely. wow, wow, wow, Camillas dress and coat-combination looks fantastic!! 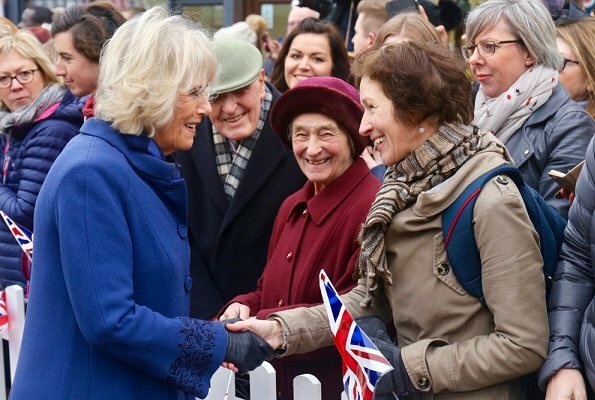 How elegant and charming Duchess Camilla is looking here. She looks fabulous here, dare I say, very queenly. Lovely coat and dress outfit. Beautiful colour. 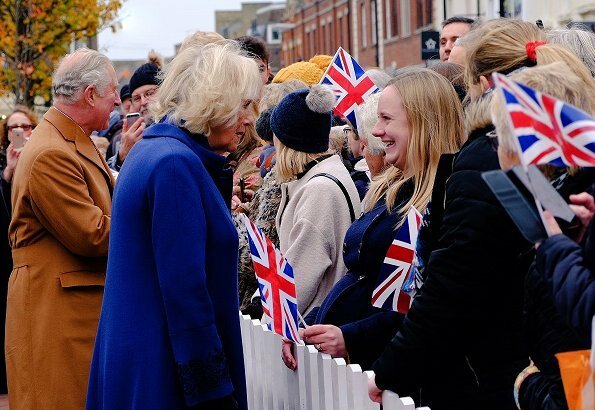 Camilla gets better and better---if she has a stylist, she deserves a medal! 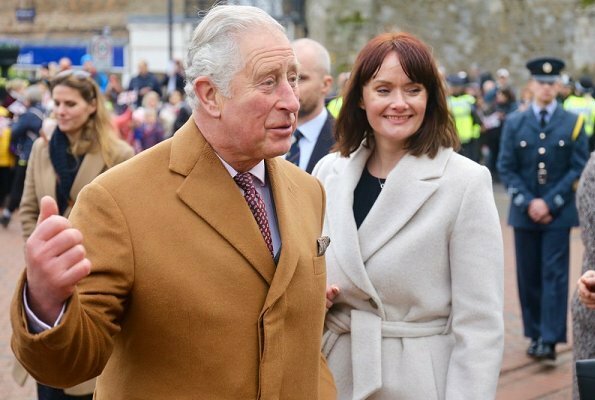 This is one of the prettiest outfits that the Duchess has worn. The color is beautiful on her and the fit is perfect.